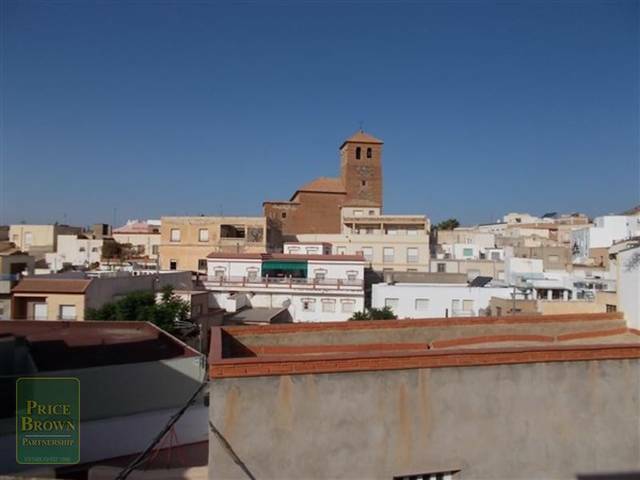 This is a great example of a big house and luxury in a privileged location on the outskirts of the bustling fishing village of Garrucha. 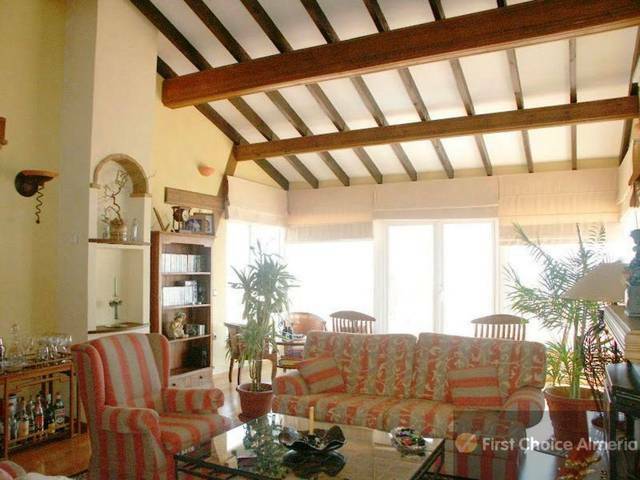 Located in a quiet residential street with the beach and the marina are within walking distance, where you will find refined fish restaurants and popular bars at the beach front.The villa is walled and gated for added privacy and security, and you can access it through a door or an automatic door of the port cars. The yard low-maintenance that leads to the villa has some bushes and many native plants in one pot. When you enter the house, you find a breathtaking hallway that leads to the glamorous living room / dining room with an american style kitchen. The living room has access to the pool area through sets of glass doors on the patio, the kitchen is fully equipped, with a central island which is an excellent feature, dining table to accommodate comfortably 12 people and a pool table that is excellent for entertaining guests . There is also a fireplace that is fully functional in the classroom to use in those winter months. In this level you will also find a bedroom with a bathroom for disabled people in suite and a huge family bathroom with shower and laundry room, which was a sauna room that can be change back easily.upstairs, the landing of which are off, all the rooms are of a generous size, with a table and chairs and a dome with natural light, extra during the day and beautiful lighting during the night, very impressive. The four bedrooms are doubles with fitted wardrobes, access to private terraces, all with access to the solarium on the roof, which offers exceptional views of the sea and the mountains. The master benefits from an en suite bathroom with a bath tub type jacuzzi. The other bathroom on this level is another family bathroom.The outdoor space is low maintenance, so more time is needed to enjoy the environment and the climate of Almería. The pool has a large L shaped, so that it does not feel crowded even when there are more than 6 people to enjoy. 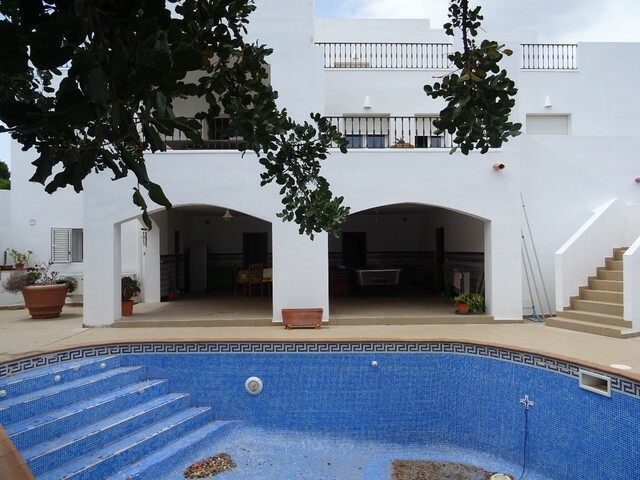 There is also a covered area tiled with jacuzzi to enjoy the summer nights or in the winter months, along with a bbq area that is fully functional for outdoor cooking in those hot summer months. A great feature for pool parties. 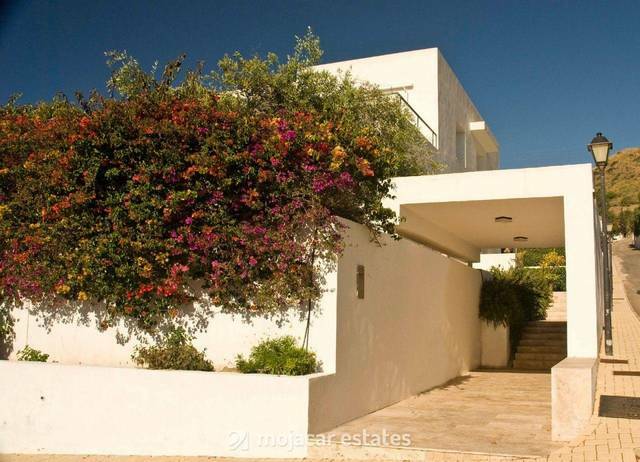 There is also a lovely area for outdoor living with retractable awnings of high quality to create a shaded area wonderful.The villa is ideal to live in or to rent full-time (if this were a consideration) due to its location. The dinners would also be a success if this is how you like to spend your free time because the interior and exterior spaces of the houses and all of the additional features that this home offers. The villa has been recently refurbished to a very high standard with recessed lighting throughout, hardwood floors and new roofs, bathrooms, staircases to name just the high points. This villa is a true home-style living that offers everything you would want to find in a home of high-level and more. You will not find a villa of this type on any place of the area. The villa is elevated and private and has all the elements that you would like to find in your home with that little extra that will make your experience unique life.The home also has a carport, a garage with direct access to the house and the hot water works with solar energy. The villa also has air conditioning (hot / cold) and ceiling fans in all rooms.The property has been completely remodeled and renovated.